Visamon 170 is a 2 way compact speaker with GHP technology. GHP stands for the German words: Geschlossen mit Hochpass. It is standing for closed cabinet with high pass filter for the woofer. In Visamon 170 a Visaton woofer AL 170 and a Visaton tweeter KE 25 SC is used. Visamon 170 has been developed by Bernd Timmermanns. The crossover consists of a 4th order high-pass filter (24 dB per octave slope) for the tweeter, a 3rd order low-pass filter (18 dB per octave slope) with an parallel RCL for the woofer. In series to the woofer a high-pass filter is used (GHP technology). 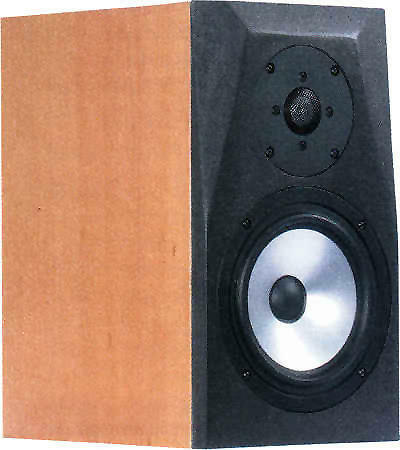 Between 100 Hz and 20 kHz, the frequency response of this loudspeaker is nearly flat on axis. The decay spectrum is perfect. At low volume, i.e. 90 dB at 1 m, the nonlinear distortions are below 0.5% above 200 Hz.